Whiskey is one of the most popular spirits, and varieties of this amber-colored liquor can be found in bars and taverns around the world. Each region has its own favorite, from sweet Southern bourbons to peaty, smoky Scotches and complex Irish whiskeys. Whiskey doesn’t start out with the dark color and rich flavor components, however. The process of maturation is key to producing flavorful spirits that warm the belly and soothe the soul. In this article, we will discuss the basics of whiskey maturation, including regional preferences. When whiskey is first distilled, it is a clear and rather flavorless liquid. Referred to in the whiskey-making craft as “new make spirit”, this liquid undergoes a transformation, thanks to careful maturation. Whiskeys are matured in casks – typically wooden barrels. 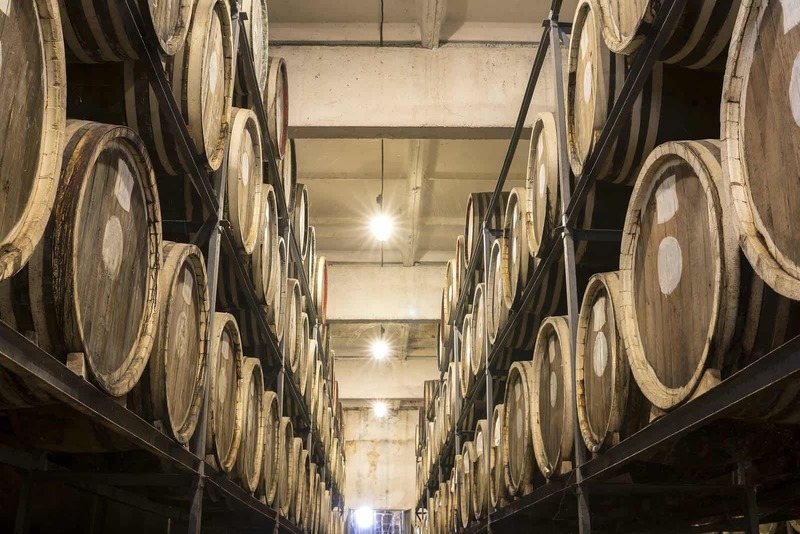 Each whiskey maker has their own time frame and material preferences when it comes to these casks; most barrels are made from a type of oak such as American or European oak. Many elements influence the final flavor of matured whiskey, including the type of wood used, the time spent maturing in the cask, the environmental conditions (air, temperature, and humidity) where the whiskey is stored to age, the age of the cask, and even what was stored in the cask prior to the addition of the new make spirit. These elements combine over time to produce a wide range of flavor components, including woody, dusty, or smoky notes as well as hints of caramel, fruit, or vanilla. Just as in the maturation process itself, there are many variables in the wooden casks or barrels used to store the whiskey as it ages. American bourbons are usually aged in barrels that have had their interiors charred by flames. Their European counterparts have more “gently toasted” interiors. After aging bourbon, the used barrels are typically sold to Scotch producers, are used to age sherry, or are reused for the next batch of bourbon. The more times the barrel is reused, the more subtle flavors are released. Barrels in bourbon aging may be used several times and can be refreshed by scraping the interior of the barrel to new wood, then re-charring it over a fire. The size of the cask may also have an influence on the flavor of the whiskey. Some distillers speculate that smaller barrels allow the whiskey to mature more quickly, while others suggest that larger barrels allow for a more gentle infusion of flavors over time. Whiskey may be matured in barrels for up to 50 years or even more, depending on the variety. Some types of whiskeys are even required by law to be aged for a set period of time; an example is Scotch, which cannot legally be called that unless it has matured for a minimum of three years in oak barrels in a Scottish bonded warehouse. American bourbons may be aged anywhere from a year to 20, 30, or 50 years. The longer the whiskey is stored in the oak barrels, the more complex its flavor becomes and the darker the finished color. Whiskeys aged over long periods of time may be retailed as “special reserve” variants, and fetch a correspondingly high price on the spirits market.